Same but different….rare as Unicorn 💩??? – Definitely Not The Walton's…. Same but different….rare as Unicorn 💩??? This year 28th February 2018 is the worldwide celebration of Rare Disease Day. The very first ever Rare Disease Day was held in 2008 – a leap year so the perfect occasion for the initial 18 countries that signed up to celebrate. Every year since, countries across the world have united to raise awareness of all things rare in terms of disease. Last year 94 countries highlighted their commitment and support to raising rare awareness which is a pretty fantastic achievement. In fact that’s an increase in ‘productivity’ of 422.2222% for want of a better way of describing it!!! (I had to ask my eldest son taking A-level maths to work that out so if the stats are not right, don’t blame me!!) 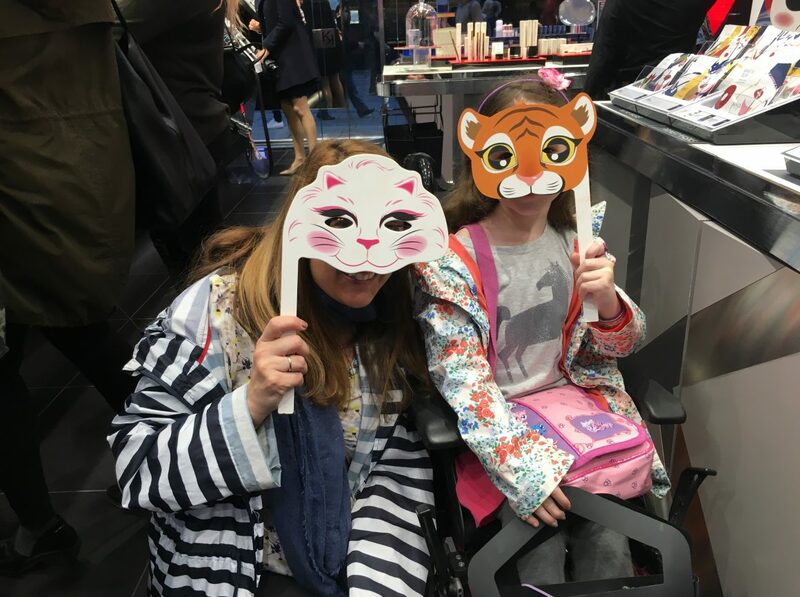 So it isn’t surprising that highlighting all things rare is close to the hearts and minds of those who live with a rare disease or have family members affected by a rare disease. After that it went on to talk about rare steaks, uncommon birds and such like. Interesting I thought however that the very first sentence used to define ‘rare’ was in the context of genetic disorders! Actually I think the use of the word ‘rare’ in the context of rare diseases is a bit of a misnomer. Why? Because at any given point 1 in 17 of us will be affected by a rare disease! Surprised? Think about this number in terms of the day to day and see how it relates to your experiences. If you used public transport today (probably a bad example since much of the country seems to be under snow!) was it crowded? More than 17 of you on board? Probably. Bought a coffee in one of the many high street chains? Hopefully not 17 of you in the queue at any one time but probably more on the premises tucking into a hot drink or waiting anxiously for their turn. 17 is lucky in some countries, unlucky in Italy. 17 is the number of muscles it takes to form a smile, 17 syllables in a haiku poem. 17 is the least random number in a study conducted by MIT asking people to choose a number between 1 and 20. So again, not that rare. A rare disease/condition in Europe is classified as affecting 1 in 2000; in the US fewer than 1 in 200,000. 80% of rare diseases are genetic in origin whilst others are as a result of infections (bacterial or viral) allergies, environmental factors, degenerative or known as proliferative eg cancers. Of those diagnosed with a rare disorder a staggering 75% will be children. In fact, many of these children are a whole new breed of rare. So rare that their medical/physical and or cognitive difficulties don’t actually have a name! Presently we know that there are approximately 6000 children born each year in the UK alone who have an UNDIAGNOSED condition. Of those, only 50% undergoing genetic testing on the NHS will ever get a diagnosis. And this is something very close to my heart because 2 of my children are undiagnosed. Whilst we can indeed be enormously thankful that medical science is evolving and improving so rapidly – approximately 5 new rare diseases per week are described in medical literature – organisations like https://www.raredisease.org.uk provide essential support and a voice for those affected by a rare condition. For those of us still in unknown murky waters, studies such as DDD – Deciphering Developmental Disorder https://www.ddduk.org or the 100,000 genomes project /https://www.genomicsengland.co.uk/the-100000-genomes-project/ offer families like mine the best chance of getting an answer as to why our children experience various difficulties and potentially the best way to manage their conditions, obtain treatment or assistance and potentially connect with families in a similar situation. Families such as mine with children who are undiagnosed and/or ultra rare can often feel alone. 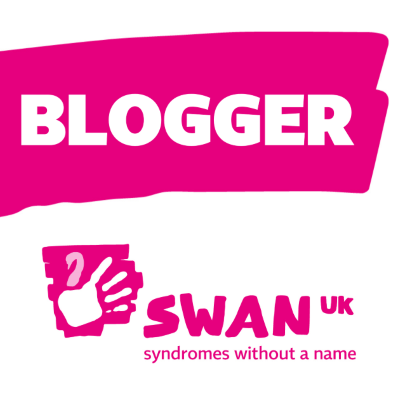 SWAN UK http://www.undiagnosed.org.uk provide the only dedicated support network for families of undiagnosed children and young adults affected by a genetic condition. Hand on heart I can say that the support I have received by being a member (and now a volunteer parent rep) has been a veritable life-line. Although my youngest 2 children have a myriad of medical terms/symptoms and diagnoses, to date we have no unifying “umbrella” that explains why they are affected. Their medical notes are vast. Between them they have confounded some of the brightest and most well respected specialists across the country. If I had a £ for every time I had heard the words ‘rare’ ‘atypical’ ‘uncommon’, ‘complex (the list could go on for a while, you get my gist) I would be a very rich woman. If a part of the human body or a specific organ is supposed to work a particular way, you can pretty much guarantee with my kids that it won’t. If unusual presentations or the extraordinary were olympic sports, my kids would be gold medalists. Several times over. So over the years, being able to talk to those who understand what we are going through, who have felt left out, different or isolated has been incredibly important and helpful. Next A picture paints a 1000 words?